University Studios & Towns is a new condominium development currently in pre-construction at 1900 Simcoe Street North in Oshawa, Ontario by Podium Developments and Building Capital. University Studios is a proposed 8 storey building with 308 units designed by Wallman Architects. University Towns is a proposed project with 170 Towns "SmartTowns" with a Breakthrough tentative occupancy date is summer of 2018. University Studios Condos & University Towns is located near the Durham College and the University of Ontario Institute of Technology in Oshawa. This is a great investment opportunity in Ontario’s newest and most popular asset class" in the the "heart of Durham's Education Hub". 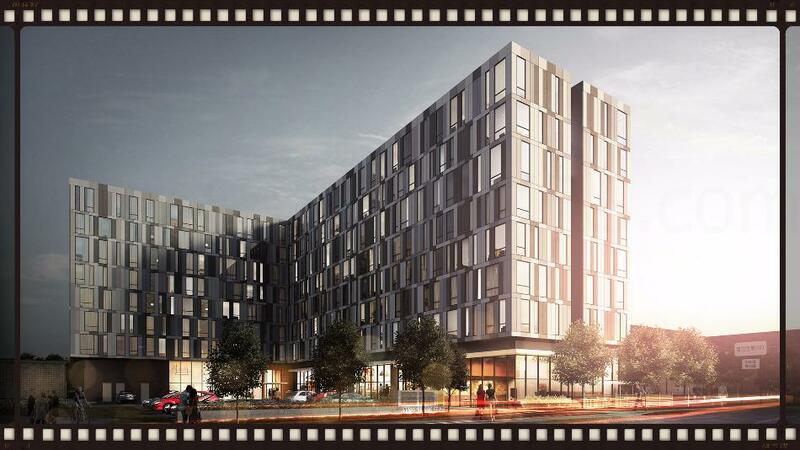 University Studios is a residential building consisting of only 308 studio units from 274 square feet. These units will all come furnished with kitchenettes consisting of a sink, a 2 burner built in electrical range top, dishwasher, fridge, microwave, range hood, granite countertops and storage above. There's also a washer and dryer, storage, key fob controlled suite door, a multifunctional military grade tablebed with USB charging station and premium hospitality mattress with mattress protector. This tablebed acts as a dining area with mirror as well as a bed. The "designers have created an exciting furnishing fixture that will provide the ultimate in smart efficient design within the suites". Amenities here include an on site concierge during office hours, a tea garden lounge with rooftop patio, an over-sized hot tub, a party room, dry-cleaning service located within the lobby, a fitness centre and a guest suite. There are also campus amenities located nearby such as a baseball diamond, a soccer field, ice centre, tennis centre and a recreation and wellness centre. 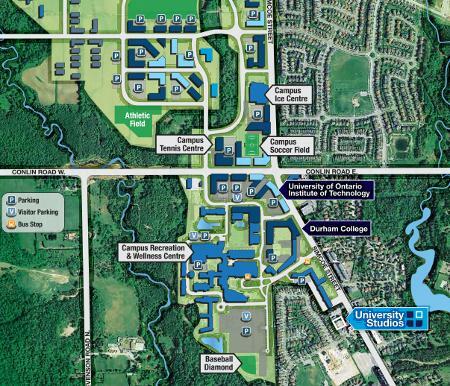 Both the UOIT and the Durham College is located within walking distance to the University Studios Condos & University Towns. The University of Ontario Institute of Technology is "a public research university" with over 10,000 students, 1,494 faculty and staff with 7 faculties, 46 undergraduate programs and 30 graduate programs in areas such as Engineering, Health, Science and Information Technology. Next is the Durham College that was founded in 1967 and has over 12,000 students, 1,670 staff and faculty and programs such as media, information technology, business, skilled trades, engineering technology, health and more. 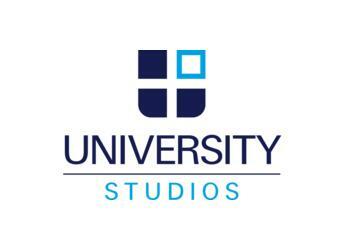 The University Studios is also located near the Cedar Valley Conservation Area as well as restaurants, coffee shops and the Shoppers Drug Mart. "With a massive shortage of high quality student living near the Campus, University Studios & University Towns will deliver exactly what is in demand at an incredibly competitive price." 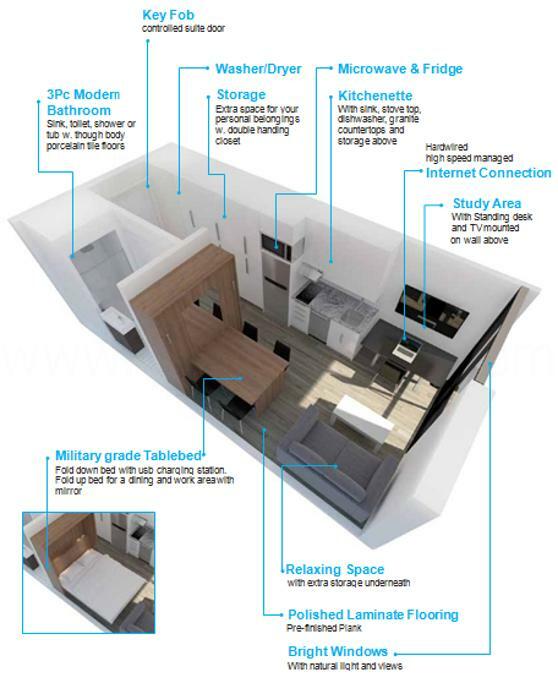 Each unit will have a fully furnished SmartStudios™. 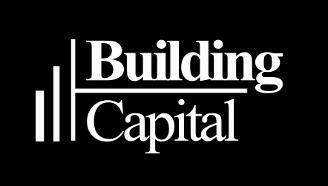 Register with us today for more information on the University Studios & University Towns by Podium Developments and Building Capital! For more information, please register today for the University Studios & University Towns.